Education organisations are least likely to see growth in their IT budgets over the next year, according to survey data shared by Crimson, a UK IT solutions company. The data emerges from the 20th annual CIO Survey, created by Crimson’s parent company Harvey Nash in partnership with KPMG. The survey polled 3,958 IT leaders across 84 countries and a range of industries. Only 35% of education organisations expect their IT budget to increase over the next 12 months, the lowest of any sector surveyed. 21% expect IT budgets to decline, and 44% expect stability. This finding comes at a time when 49% of organisations surveyed across all sectors have seen a budget increase, the highest level since the report started tracking budget changes 13 years ago. The budget pressures are also being reflected in pay packets. Only 42% of education IT leaders saw a salary increase, compared to the global average of 46%, and far behind Leisure, the highest ranked sector, where 56% of IT leaders saw an increase. Those in education who consider themselves “very” or “quite” fulfilled in their role has dropped from 86% in 2017 to 72% this year, so it perhaps not surprising that 25% plan to stay with their current employer for less than a year. Only 35% of education organisations expect their IT budget to increase over the next 12 months, the lowest of any sector surveyed. Across all sectors, cloud investment continues to grow, with 70% of IT leaders characterising their investment as significant or moderate. By way of contrast, headline-grabbing technologies blockchain and virtual reality are only attracting a similar level of commitment in 9% and 10% of companies respectively. Many organisations struggle to manage customer-focused capabilities. Only 27% said they were very effective at measuring profitability by customer, and just 26% were very effective at creating engaging customer experiences. Half said they were not at all or only slightly effective at achieving a single view of customer interactions across all service channels. 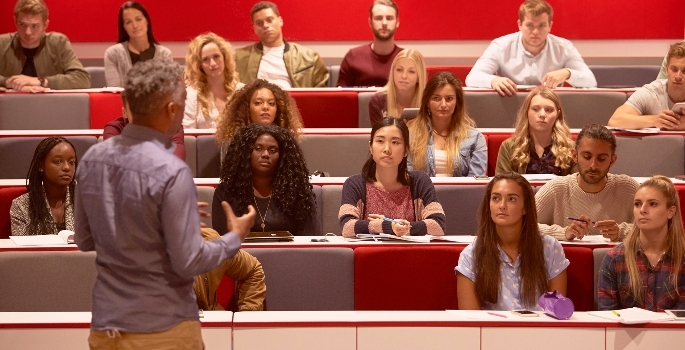 “Higher education institutions are competing to attract and retain students, so it is important to be able to effectively manage relationships with them,” said Mark Britton, Head of Marketing at Crimson.